Pero's Bridge near Bristol City Centre. 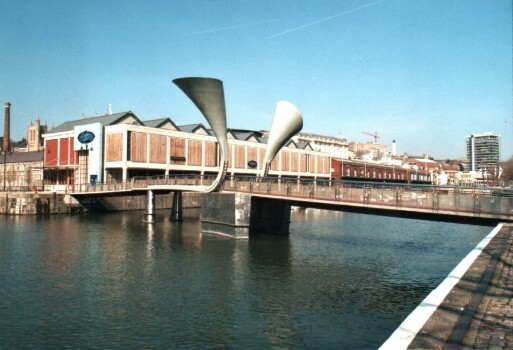 The bridge spans St Augustine's Reach and commemorates Bristol's most famous slave. from the Caribbean island of Nevis in 1783 and was a servant to the PINNEY family. The City Centre is at far right and Bristol Cathedral can be glimpsed at far left.